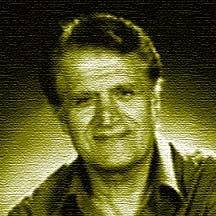 Ahmad Pejman is one of Iran's most prolific composers. He has written for Pop icons such as Daryiush and has several major motion picture scores to his credit. He has also produced a number of instrumental albums, among other work. But his latest CD stands out as one of his very best. "Haft Khaan-e Rostam" or the seven hurdles of Rostam -- the English title is shortened to "Rostam" -- is a musical recreation of a chapter from Ferdowsi's epic, Shahnameh. Rostam, the Persian mythical hero, has been called upon to rescue King Kavoos and the Iranian forces who have been taken captive by the evil King of Mazandaran. Thus begins a tale of supernatural braveries not unlike those displayed by Superman and other Western comic book characters -- only the Shahnameh was written some thousand years ago. Pejman's musical score brings each of Rostam's battles into full life. You can feel the awesome power of the dragon and the fearsome presence of the White Demon or the ferocious flight of the birds. (Listen to clips below). "Rostam" has been produced by Farhad Zamani, with Bijan Kamkar playing the Persian percussive instruments. The CD is being distributed by Planet Beat International in Los Angeles (Tel: 818-762-3885).